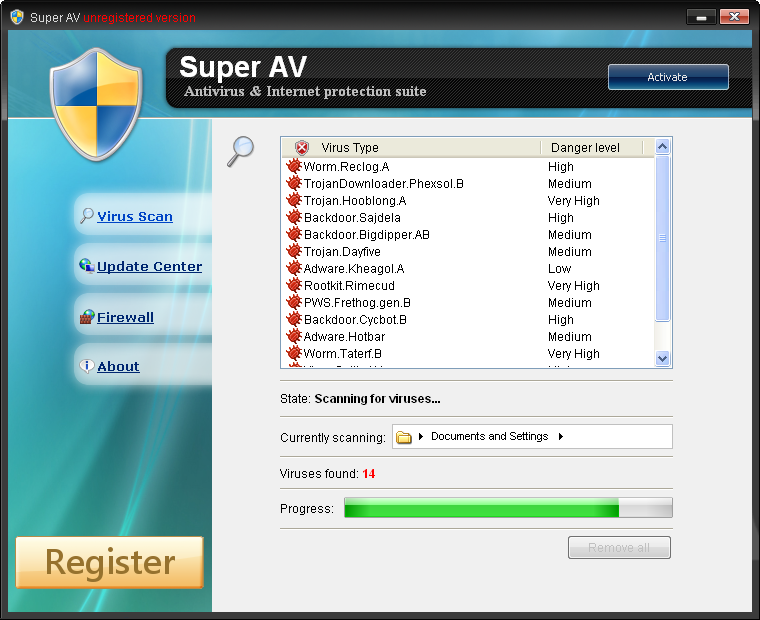 Super AV is a fake security software (rogue). Super AV displays a lot of disturbing warning messages pushing users to purchase a license. If your PC is infected with Super AV, use MBAM to remove the infection. Home Security Solutions is a fake security software (rogue). Home Security Solutions displays a lot of disturbing warning messages pushing users to purchase a license. If your PC is infected with Home Security Solutions, use MBAM to remove the infection. 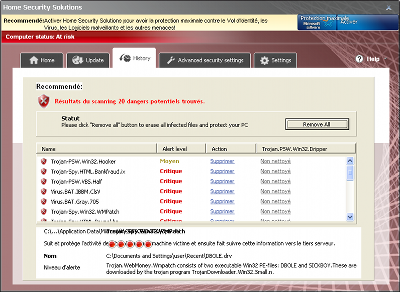 Security Monitor 2012 is a fake security software (rogue). It is from the same family as: Security Solution 2011, Antivirus Antispyware 2011, AntiVirus System 2011, Security Inspector 2010, AntiVirus Studio 2010, Desktop Security 2010, Total PC Defender 2010, Desktop Defender 2010, Contraviro, UnVirex. Security Monitor 2012 displays a lot of disturbing warning messages pushing users to purchase a license. If your PC is infected with Security Solution 2011, use MBAM to remove the infection.